This training module will cover the two ways you can define your route. We estimate that this will take 2 minutes to complete. The other possible way you can enter it is by copy and pasting from a flight plan. Once the route has been entered you will be able activate the route and then you will be able to view the route on the enroute screen. Let's start by entering a route manually. 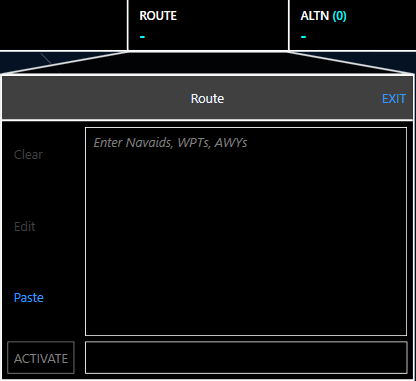  If you have entered FROM, TO, ALT in the route ribbon: WAYPOINT ROUTE_NAME WAYPOINT.  If you have not entered the FROM, TO, ALT in the route ribbon: FROM ROUTE TO ALT1 ALT2 ALT3. In this case use only ICAO code for aerodrome. You can enter your departure and arrival destinations into the FROM and TO respective fields. This is not necessary on this occasion as you can include them into your route entry and this will automatically place the aerodromes in their relevant fields. Click the Route list item. You enter your route in here. In this example one has already been put in there for you. You can see that it has started off with a departure aerodrome LFBO and finishes with an arrival aerodrome LFPG. You can add waypoints/navaids and airways to your route simply by typing in the ident of the waypoint/navaid or airway as per your ATC route. The application will validate each of your entries as you enter the ident of the next waypoint/navaid or airway. Once the route is validated correctly, the activate button will turn green. while the latitude is 0° - 90°. Once the activate button has been pressed it will take you back to the enroute screen where your route will be plotted. This will include the FROM and TO aerodromes as well as the waypoints, navaids and airway labels. 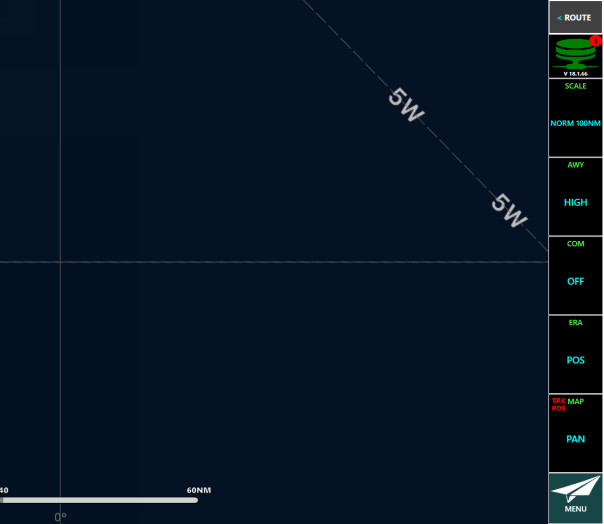 Route is now active and a distance in nautical miles (nm) is also visible. The distance indicated doesn't include the exact distance of the SID and STAR used. Therefore, it shouldn't be considered as a distance reference. 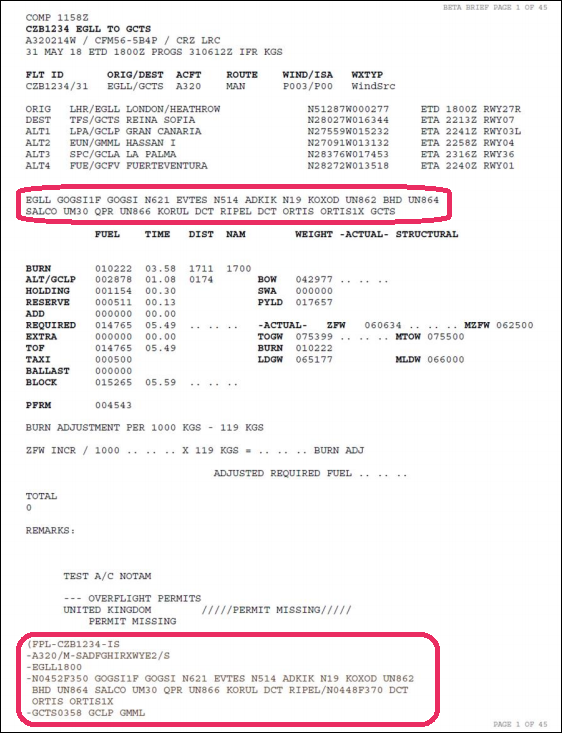 You will be able to copy and paste a route from a flight plan received in a text format i.e. email, PDF into the application to plot the route entry. 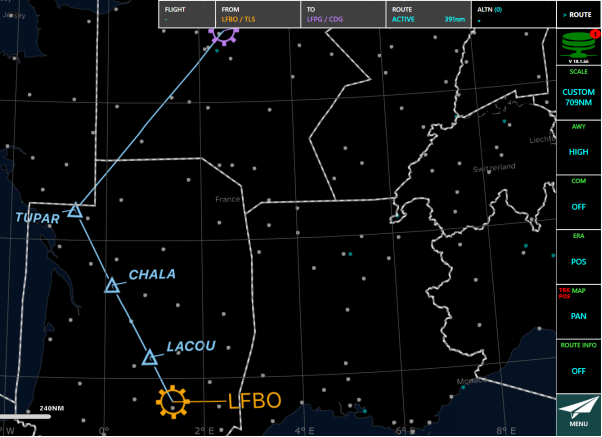 The flight plan route must be in the ICAO standard format for flight plans. Example of a standard flight plan. 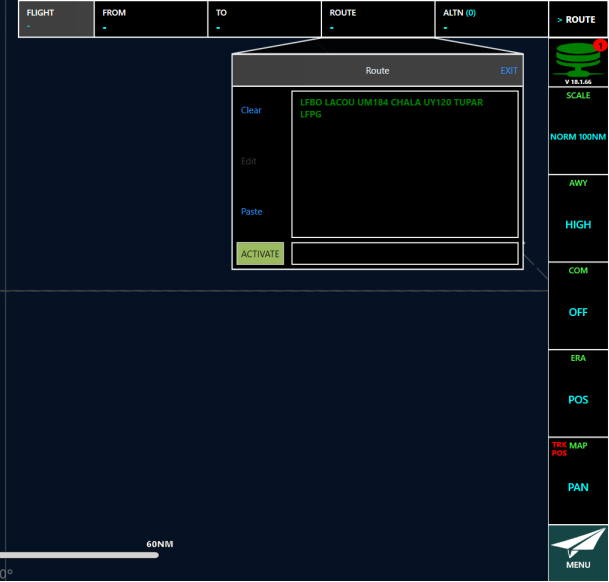 Using the flight plan you can either copy & paste the “General overview route info”, or “ATC flight plan route info”. The application has the capability to identify appropriate route segment for plotting. General overview route information which you can copy and paste into your route. 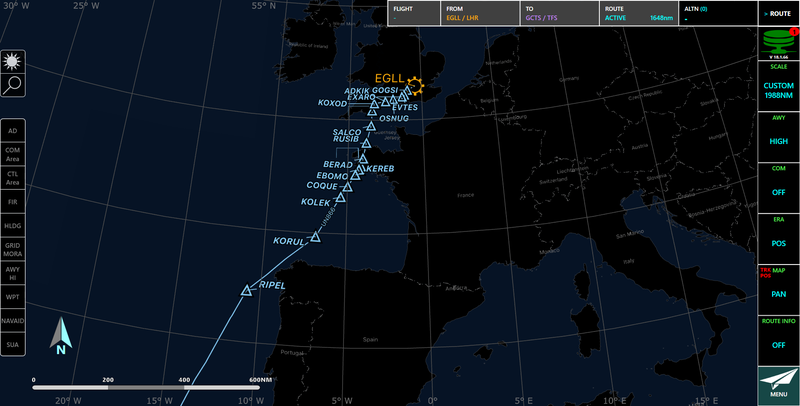 In this example we have already copied the following route from a flight plan. Using the Paste button will paste the route into the box once copied from the flight plan. aerodrome. See below for example. may not be processed by the application when validating the route. Your route is now visible on the enroute screen.